A high-quality home security system protects your family in many ways. In some cases, just the presence of a security system is enough to deter a would-be burglar. If your home is broken into, your wired and activated security system will instantly alert the authorities and the alarm may scare off the criminal. If you incorporate live video monitoring, your home will be even more secure. Perform a thorough inspection of all exterior doors. Make sure the door frames are strong and the hinges are protected. The front door might be a nice focal point of your house, but don’t sacrifice security for a pretty view. If your door doesn’t have a peephole or a deadbolt, you should install those immediately to help make the door even more secure. An affordable but super important way to make your new home more secure is to have exterior lighting installed. LED lights are a practical solution because they keep your property well-lit without using much energy. When it comes down to it, most thieves would rather target a dark home where they can hide in the shadows than risk being seen by a neighbor or passerby. Securing your new home doesn’t have to be complicated. 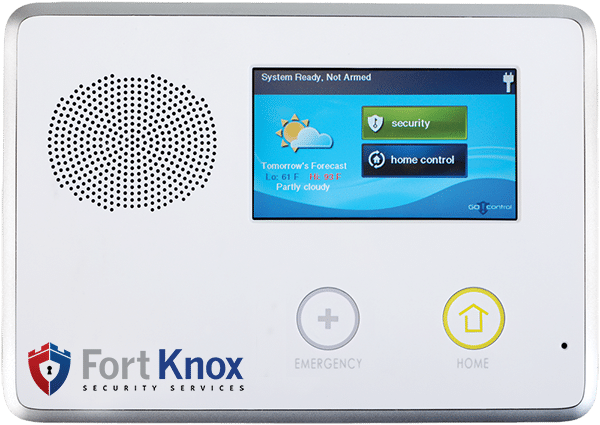 When you are ready to set up a simple to use but powerful home security system for your new Texas home, give Fort Knox Home Security Systems a call.